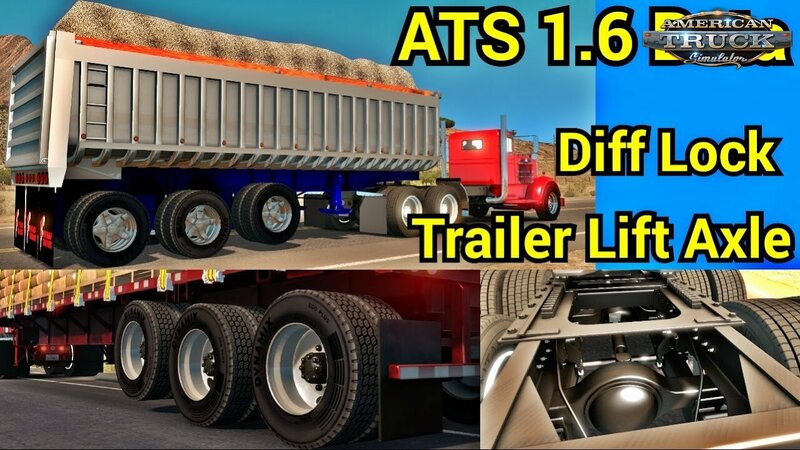 Gameplay video with Diff Lock & Trailer Lift Axle Test for American Truck Simulator 1.6 Open Beta game version. Testing the new Trailer Lift Axle and Differtial Lock. Kenworth 521, 6v71 Detroit with 18 Speed. 4.30 ratio. We are ready to start public testing of a new Update for ATS today. ETS2 Open Beta should follow later this week. where can i downlaod this without steam ?